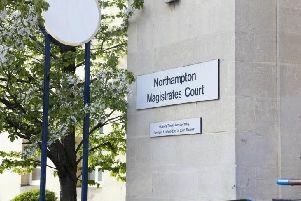 A homeless man who has repeatedly breached a restraining order banning him from entering All Saints Church in Northampton has been sentenced to eight months in jail. Paulis Stanulis, aged 25, was given a court order last August prohibiting him from entering the town centre church after he was charged with stealing the processional cross, worth £5,000. Stanulis was subsequently sentenced to 10 weeks in jail after he was convicted of criminal damage and harassment of Father David McConkey, the former priest in charge at the church. He was sentenced to a further 20 weeks in prison in February this year after he breached his restraining order by entering All Saints Church “shouting and swinging a chain”. Northampton Crown Court heard on Friday Stanulis had breached the order again just a few days after he was released from prison on May 23. His Honour Judge Rupert Mayo said Stanulis had an “obsession” that he is being persecuted by the former priest at the church, Father David McConkey. The court heard that Stanulis had again taken away the processional cross from the church before replacing it. Judge Mayo said Stanulis had fallen in to a “disturbing” cycle of breaching his order. He said: “You are obsessed and have a fixation with the idea the priest in charge is persecuting you. Stanulis is likely to serve half his eight-month sentence in prison before being released on licence.